Trio also designed the print fundraiser programs, and the photography lower third graphics for this year’s event. 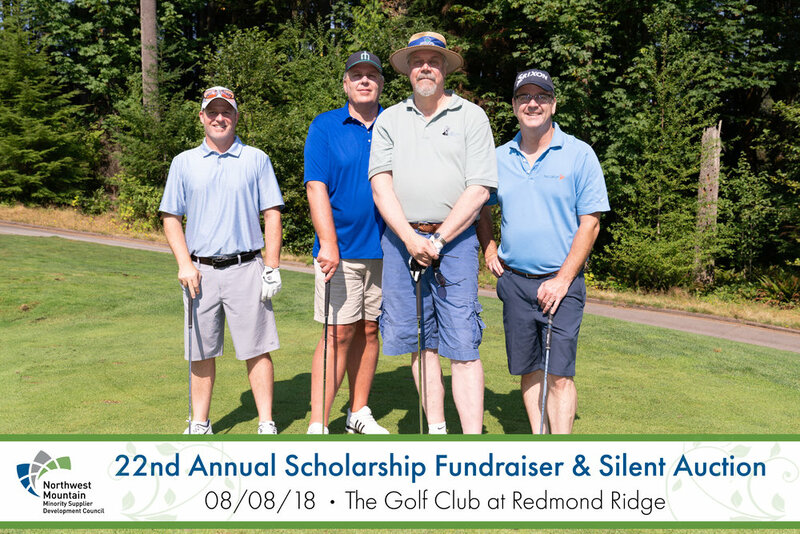 This August 2018, Trio Group participated in the 22nd annual Northwest Mountain MSDC Scholarship Fundraiser & Silent Auction Golf Tournament at Redmond Ridge Golf Club. Trio has participated in the tournament fundraiser for over 10 years and has been a platinum sponsor during this time in support of the minority business community. According to the council, the fundraiser raised close to $8,000 through the Annual Silent Auction, event sponsorship and contributions. Through the scholarship fund, the Council provides MBE certification, customized training, development series, and MBE sponsorship to participate in regional and national events.